In Hula reserve there isn't a dull moment. It is also the first declared national reserve in Israel Once naturists realized that drying the lake, like was once done in the 50's, might cast a catastrophic toll on local wildlife. Since the reserve was founded, many changes and improvements took place. One of them, which recently started operating, is the amazing visitor center "Oforia". The tour in the visitor center begins with a model of Lake Hula, a short film explaining how the lake was created, and about the swamp dehydration. Two dioramas present the bird and wildlife. Next is the main attraction- a multimedia 3D effects show. For 15 minutes the viewer will feel as if he is part of a flock of wandering birds. The visit ends with a short computerized trivia game. And yet, there is nothing as the real thing. Hula reserve preserves the beauty of the lake, the pasture and the marshes. The hiking trail through the reserve is second to none. The trail, a kilometer and a half long, passes through a long wooden bridge over water, in the heart of the papyrus plant (the plant of which the ancient Egyptians used to make paper). In the center of the "swamp trail" lays a secret spot, of which you'll be able to observe the lake and bird life without disturbing them. Take your time (binoculars for rent are available) and observe the pelicans align to fish, the colorful kingfish and the many types of duck. While you walk the trail, you'll be able to see buffalos who roam the reserve grounds. The buffalos were brought, in order to keep the wild grass growth. Next to the visitor center, is patch of land where fallow deer are grown, to preserve their species. The entrance to Carmel wildlife reserve is located about 200 meters south of the entrance to Haifa University (route 672). Carmel wildlife reserve, which stretches over 1482 acres on the western side of Mount Carmel, is used as a sanctuary for many kinds of animals, out of intention to eventually release them back into the wild. The main focus is on 4 large mammals: the fallow deer, the roe deer, the wild goat and the Iranian wild lamb. However fish ponds are also maintained here to aid in amphibian reproduction, and eagles are also grown in the reserve. Here the fallow deer population was maintained, and once a large reproductive core was created, they were released back to the wild. Nahal Kziv was the first to receive them, then Nahal Sorek. Carmel wildlife reserve also hosts the Crete wild goat- an animal who was civilized by mankind in ancient times and was brought to Crete and other Greek islands. However the goat isn’t intended to be released to the wild at this time. The entrance to Gamla reserve is from Daliyot road junction - Kazrin junction (route 808) near the 22nd kilometer road marker. The cliffs of Gamla reserve are used by dozens of nesting birds and eagles who fly right over the heads of travelers passing by. A special bird watching post was stationed for the visitors ease. A special project which was initiated here is "birth encouragement". Wildlife marshals use the fact that the eagles cast the first egg away and take it to a hatchery, where it will be taken after. 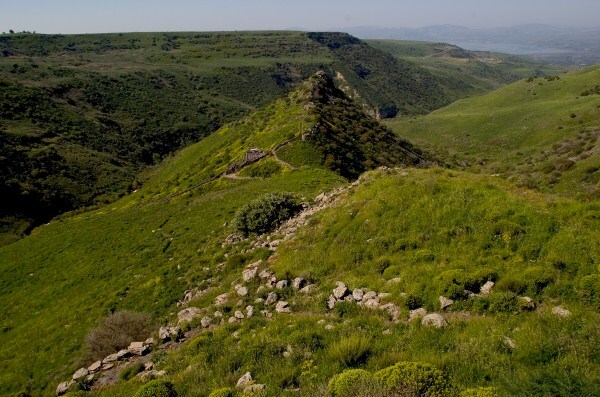 Also in at Gamla reserve, are the remains of the ancient town Gamla, who rebelled against the Romans and the Gamla waterfall- the tallest waterfall in Israel. The access route to Zipori national park branches out of Movil junction road-Nazeret (route 79 between the 23rd-22nd road markers). 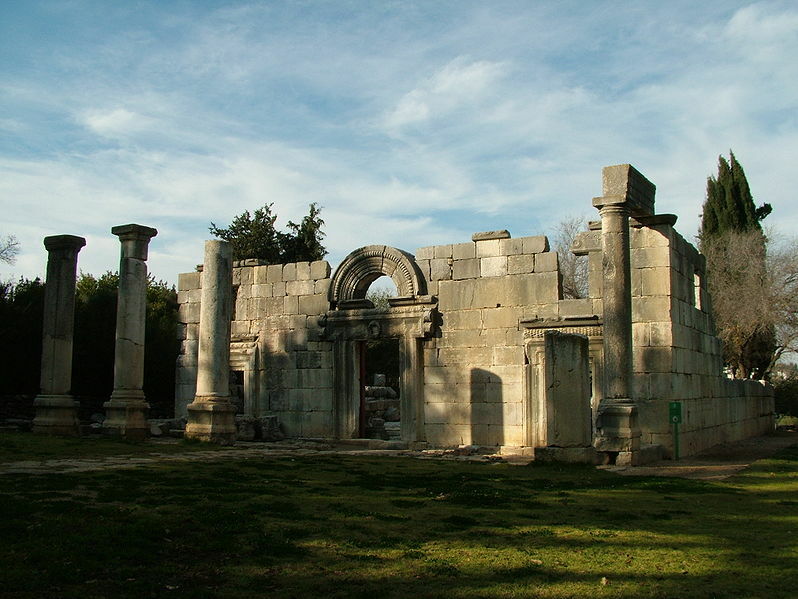 In biblical times Zipori was an important town, and at some period was considered to be the Galilee's capital city. In the early 3rd century, Rabbi Yehuda Hanasi lived here, by whose inspiration the Mishna was edited, which was one of the most significant actions in the history of the jewish people. This is an amazing site in the national park, a true engineering marvel- the huge water reserve which is second to none in Israel. It is 260 meters long, 10 meters high and is engraved completely into the stone. The reservoir has operated since the 2nd century to the 7th century AD and is still used for water supply to the town. Also, an ancient roman theatre and synagogue were discovered here at Zipori, with interesting mosaic floors. Zipori is famous with its spectacular mosaics. One of which is named "House of the Nile" because of its description of a festival held in Egypt when the Nile rose and a hunting scene. It shows animals that were common around the Nile, among them the wild hog, panthers and lions. At the main mosaic discovered, the "Nileometer" is described- a pole who measured the water level in the Nile. Tel Megido National park is located north of Megido junction (route 66 between road markers 21-22). Thanks to its strategic location, at the tip of Yiron stream and the heart of the ancient "Sea Road", an international path from Damascus and Egypt. 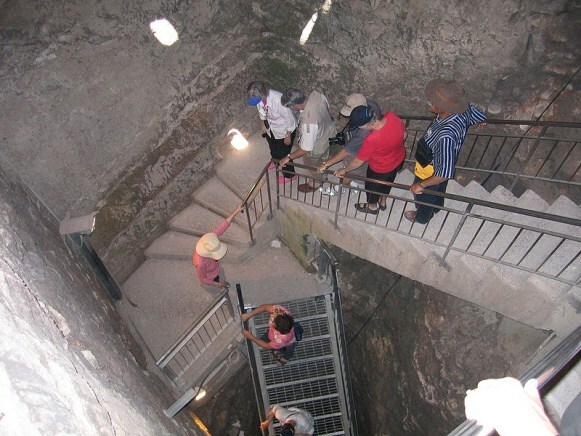 A tour through Tel Megido starts with a visit to the museum, where models showcase the archeological structure of the mount. A short film tells about the history of the town. At the heart of the mount, are the remains of Ahab's iron infantry horse ranges. The masterpiece of the visit is the water plant, which was built in the days of Ahab. Bar'am national park is located on the side of the northern highway, between kibbutz Sassa and kibbutz Bar'am (route 899), half a kilometer from the new northern highway junction (about 3 kilometers east of Hiram junction). Not far from Nahal Haziv reserve is Bar'am synagogue national park, which was used by the townsmen in mishna times. This spectacular synagogue displays an extravagant front engraved in wooden carvings, of vine leaves and winged figures. Beit she'an national park Biet she'an national park is within the borders of Beit She'an city. The spectacular remains of the byzantine town is accompanied by the night show She'an nights. The show includes virtual aids and audiovisual aids who give visitors a sense of being in ancient Beit She'an. After the show, the visitors walk through the special lighting in the street, bath house, theater and other fascinating sites. Nimrod Fortress national park is located on the side of the Banias road- Neve Ativ (route 989) between road markers 4-5. 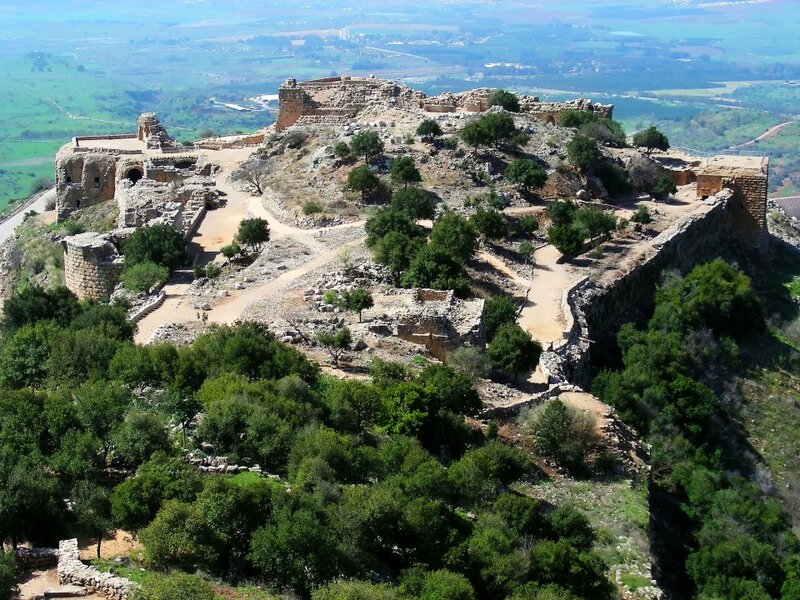 Any visitor to Nimrod Fortress, find himself at aw of the forts magnitude, which sits at the foothills of Mount Hermon. 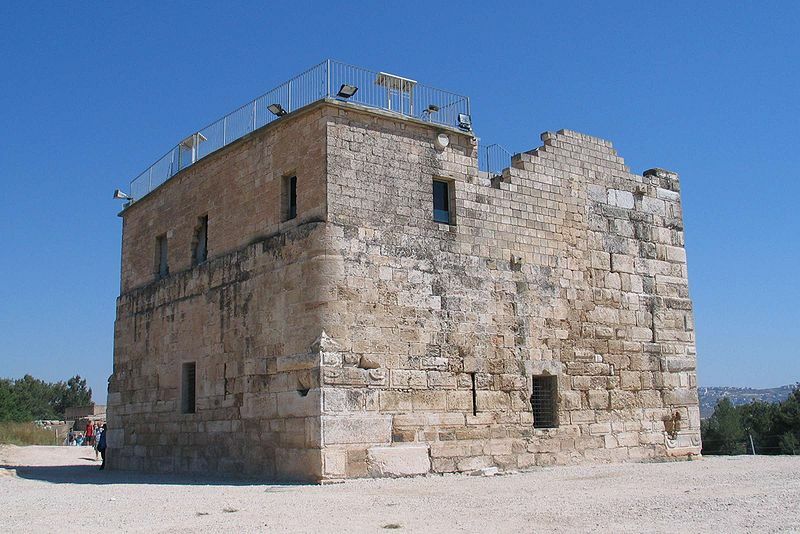 Nowhere else in Israel is there a fort with such grand walls and towers. The amazing structure come hand in hand with the scenery of south Lebanon, Hula Valley and the Galilee mountains- a true unique experience. Recently the national authority for parks installed special light fixtures, which give the fort life at night. To Nahal Kziv you could either reach from Goren Park on the side of the Shlomi Sassa road (route 899 between road markers 11-12) or from Mitzpe Hila, near Ma'a lot. Kziv stream is the main candidate for the "The Galil's Stream". The stream begins at the peaks of mount Meiron, the highest peaks in the Galilee, and on its way it opens a deep channel, which steep slopes are covered in magnificent dense bush. Out of the dense bush on the southern side of the stream the lays Monfort castle, and on the foothill of the castle flows a steady brook. 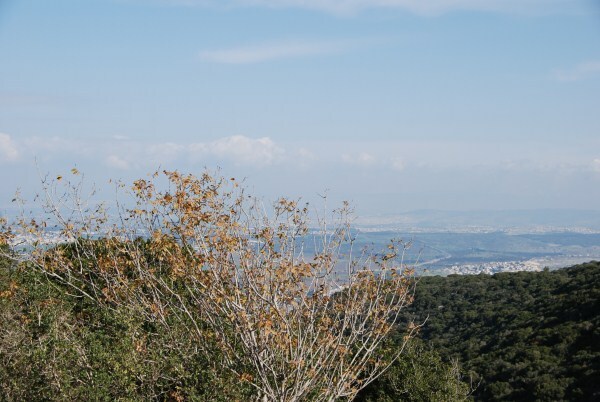 This is Nahal Kziv national reserve- the natural Kingdom of the Galilee, which stretches over 2223 acre. This is a large reserve on Israeli terms. 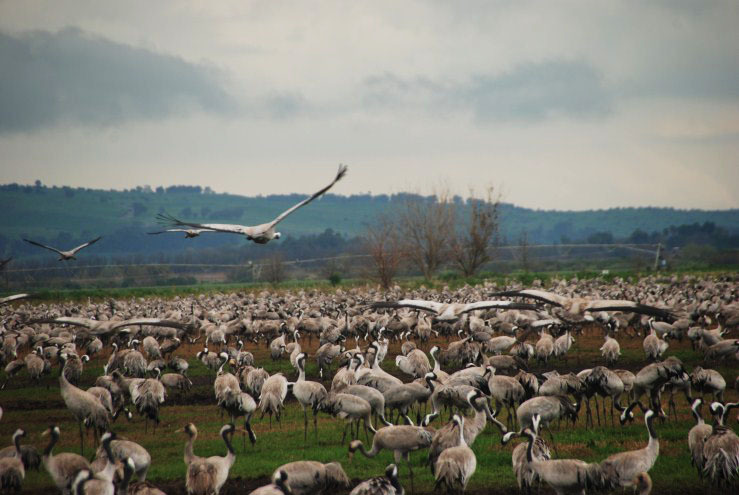 The national authority for parks in Israel uses this space to restore the natural bird and mammal wildlife to Israel. A wide variety of species exist in Nahal Kziv reserve. In the shallow pools small fish swim and the waters are used as breeding grounds for many amphibious creature as the Salamander, the Banded Newt and stream frogs. Now as the first rains come, the amphibian life increase and become clear for observation. Also on the reserve, are rare reptiles such as snakes and lizards which are on the bream of extinction. Between the tree branches are the endangered Dormouse and other rodents such as the rock Hyrax and the Hedgehog. A quiet common large mammal is the wild boar. Nahal Kziv reserve also homes many birds of prey. Around the reserve projects to restore the wild falcon population are held. Nahal Kziv reserve was also picked as the best suited reserve for reinstatement of the fallow deer, which was once common in west Asia and now practically extinct due to its massive hunting. The first fallow deers were released to Kziv reserve in 1996. First, they were housed in reinstatement pens, and gradually they were released to roam the reserve. By estimation, nowadays more than 120 fallow deers roam the Galilee. The fallow deer are grass eating animals, who can actually aid in preventing wildfires by containing the dry grass which is left in the summer. The Israel authority of parks claims that according to the current direction its going, the fallow deer population will reach a steady 250. If you are looking to have an overnight in this lovely area The Israeli tourism site Zimmer offers thousands of exciting vacations. Check out the best B&B in the North of Israel and in many other places!